Steve Squyres and Phil Christensen discuss Opportunity's latest goal, Endeavour Crater; Emily Lakdawalla knows how to find a spacecraft sailing out beyond Pluto, and Bruce Betts has a lock on a couple of comets. This week we hear about the strategically located magnets on the Mars Exploration Rovers and how are telling us more about the red planet. With lots to celebrate, The Planetary Society threw a party for the scientists and engineers who have made Spirit and Opportunity such amazing successes, and you're invited! Jim Bell, The Pancam Man! 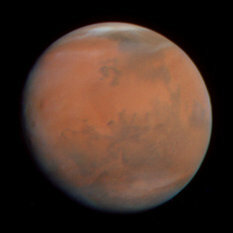 Planetary Radio talks with the developer of the Pancam on the Mars Exploration Rovers, Jim Bell. We also feature the last pair of Student Astronauts, and another visit with Astrobots Biff Starling and Sandy Moondust. Opportunity is on a roll and Spirit is almost back to full health as we visit with the young Flight Director for the mission. We also hear from two more of the Student Astronauts. 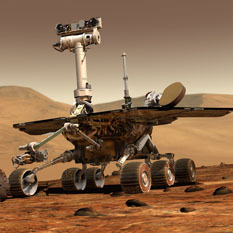 We celebrate the perfect landing of Mars Exploration Rover Opportunity with special guest Rob Manning, plus lots more, including two more Student Astronauts, and a "name that outcropping" contest from Bruce Betts.